Copper Dreams - Alpha Progress Update! The release date for Battle Brothers DLC Warriors of the North will be May 9th. What started out as a small DLC has become a sizable expansion again. We’re happy to announce that the ‘Warriors of the North’ DLC for Battle Brothers will be released on May 9th for the price of $8.99 or your local equivalent. You can already find and wishlist it on Steam right here and on GOG here. The artwork above can also be downloaded as a wallpaper here. The ‘Warriors of the North’ DLC for Battle Brothers expands the game with a more distinct northern region, as well as different starting scenarios to pick for your mercenary company. Face an entirely new faction of barbarians in battle, wear new viking and rus themed gear, and follow the legend of the ‘Ijirok’, a mythical creature of the frozen north! 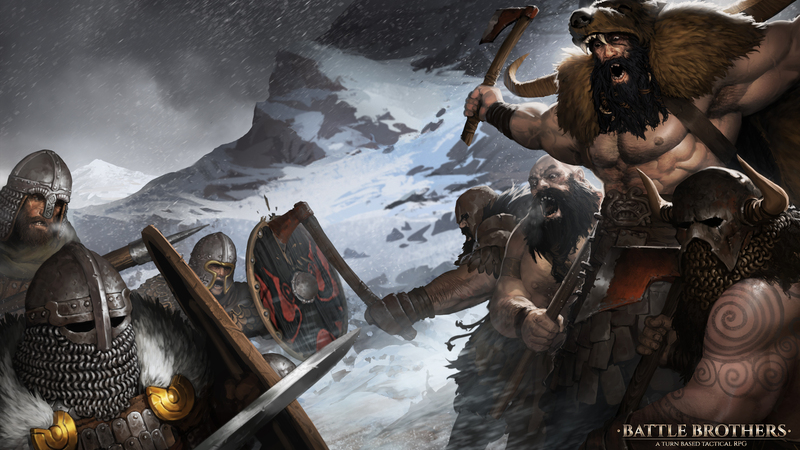 Origins – Pick one of ten different origins and play as northern barbarians, peasant militia, or a flock of cultists. Each origin has special rules that shape your campaign into a different experience from beginning to end. New Opponents – Face an entirely new faction of northern barbarians, complete with their own gear and unique mechanics. Legendary Locations – Visit two new legendary locations and fight two new bosses in a quest that leads to a legendary reward. Champions – Hunt down enemy champions and face them in battle to claim famed items for yourself. New Banners and Gear – Dress in style with a collection of new viking and rus inspired banners, shields, helmets and armors. Use new weapons and let loose the new nordic warhound! New Contracts and Events – Earn your stay in the north by taking on new contracts. Immerse yourself in leading a mercenary company with even more illustrated events. New Music – Two new music tracks accompany you on your adventures. New Achievements – Challenge yourself with new achievements. Please note: You’ll be able to continue your current campaign with the DLC, but you won’t have access to all of the new content until you start a new campaign. Recently I was surprised to find some people wondering if Tales of Maj'Eyal was dead (as in not developed anymore). I was like "WTF??" because I knew it was not, quite the opposite in fact, but then I pondered some more and realized that I'm utterly bad at regularly communicating that fact! So let's try to improve on that with a Grand List Of What Is To Come (Possibly). Hugely improved NPC AI, smarter, better pathing, and so on. For MOAR GLORIOUS DEATHS! So you thought that when an expansion is released it's the end of its life? THINK AGAIN! After 1.6, Embers of Rage will get an update with a whole new class for you to slaughter poor creatures with: The Annihilator! As its name suggests this is a class for peace-loving orcs! Annihilators use steamguns and new heavy weapons (flamethrower, shockstaff and boltgun) to destroy their foes all while deploying automated steam turrets and even riding around in a mecharachnid suit! A force to be reckoned with for sure! Note to be clear: this is NOT the very next update to Embers of Rage, that one will be released at the same time as patch 1.6 along with an update to all expansions, just to update their systems for 1.6. Annihilators will come a little afterwards. DarkGod turns evil: Microtransactions, but the good kind! So let's say it upfront: no pay2win to be seen in there! Now that this is said let's get into more fun details. So if there is no pay2win, what will there be? Additional Online Item's Vault space. Any purchase of the game, expansions, donations, ... already provides vault space, but this is for even MOAR! Various cosmetic themed packs. These will include shimmer appearances for most items, plus sometimes/usually additional cosmetic options for playable races. "But DarkGod, I want to have racial cosmetic options without giving you more money!" Well, fear not for 1.6 does bring in a ton of those for free anyway. The more, the merrier! Community events! Now for something a little different. In Tales of Maj'Eyal community events are temporary stuff that are sent by the server to any currently playing character. The server randomly sends two of those, called the Bearscape and the Lost Land of Poosh, to players automatically. There are many more, like seasonal ones, or ones only I can push when I feel like it. Now players will be able to acquire the ability to trigger either the Bearscape or Poosh themselves, in addition to the random server pushes that are not changing. But wait there is more! They are still community events, so whenever somebody buys and triggers one, all players currently online will benefit! I don't like pay2win. I really really don't. So instead of doing pay2win, I've decided to add a pay2die system instead! If you think your character is too strong, that nothing can kill you as you stride effortlessly through the toughest of foes, just buy this option and get a few level 500 god-level horrors randbosses summoned on you! Death is guaranteed! You can even boast online by showing off what horrible horrible creatures are about to kill you! In last October Steam had a glitch in their algorithm, which effect lasted for months and for many can still be felt today. Basically the algorithm suggesting games had gone bonkers and unless your game was an AAA or super indie it sank to the bottomless depths of hell. Many indie devs, including me, had their revenue cut by like 50+% (sometimes much more). Valve told us this was not intentional and I truly believe them; they've always been very nice people when I needed them so I have no reason to doubt their word. But still, it made me realize that I am so dependent on Steam. This kind of made me enter panic mode, I was mentally unwell for some time I must admit. Maybe I'm too fearful, a scared little boy or whatever but still that's how I feel/felt. So I've pondered about additional revenue streams and I remembered about some players that kept asking to be able to buy more vault space and cosmetics. So finally after many years I caved in and the rest is (future) history! And last but certainly not least... A new expansion! And not a small one at that. For a long time now I've only announced expansions when they were very nearly finished. This time I'm trying another way and instead I'm teasing it early on. As you can see on the teaser, no ingame art exists yet but many sketches. The lore, zones, foes, stories, ... are all roughly defined and being implemented. The new races and classes are already half-way done. Still it'll be a long way until release, which will obviously happen in exactly 1DGTU! "But DarkGod, you didn't tell us what it is ABOUT!" Fear not my brave minion, I'm coming to that! Wow, Pathway has been out for only a little over a week! Up to now we've been in overdrive-mode fixing bugs. Additionally, we've also started introducing a handful of quality of life updates such as the undo button when recycling items as well as improved tooltip comparisons. Updates have been almost daily during this period to make sure critical issues are addressed promptly. With today's post we want to explain what the next few months are going to look like. From now on, we're switching to a more predictable update cycle: Every Wednesday we will release a new update. However, new features and changes will always first go to our public Preview branch. Once those changes had a bit of time to go through a testing and feedback phase we will then push them to the main branch. So in practice this means changes will generally linger in the preview branch for a week before appearing on the main branch. Sometimes we may decide to keep some things in the incubation stage for a bit longer before they make it to the live branch. The preview branch will serve as an experimental area, where we can try out some changes and gather feedback from the community before making them available to everyone. So if you want to be a part of shaping the game's future, we'd love to have your help there! The first preview build will go live next Wednesday. We will post instructions on how you can join the preview testing then. An area we see confusion about frequently is how damage is calculated in Pathway. In the upcoming preview, we're adding an overhauled tooltip when hovering over enemies during an attack action. In the compact view you simply see the effective damage potential. This includes all adjustmens that may occur from things like the weapon's damage type or if your character has a special bonus/penalty against an enemy type. If you press tab, you will get a more detailed breakdown of how exactly the final damage calculation came together. We hope this will help in making some of the game's more complex damage calculations clearer. We're making the beginning adventures more rewarding in terms of loot drops. We want to keep the legendaries for the mid to end game, but we feel like the first two adventures could use a boost of rewarding items. Another feedback we've seen popping up often is that the perk branches in events don't feel weighty enough. We are starting to address this issue by taking a lot of luck out of the perk branches. So far, you'd always have a significantly improved chance at success, but in practice it often felt like you're gambling just as much as when using one of the other standard branches. Starting with this build, perk branches will now give you a success in an otherwise risky situation. There are a few exceptions to this rule still. We think this change will make character perks a lot more rewarding to use and provide a more tangible benefit. There will be a full changelog with the release of the build on Wednesday that will of course also include a bunch of general bug fixes and improvements! THANK YOU again for playing our little game and sending us your feedback. We truly do appreciate every constructive comment coming our way - We're constantly reviewing your ideas and and we are looking to address a lot of the concerns in the next little while. We wanted to share with you some story elements so you can understand the context surrounding the main character and his companions before you start the story, in order to give you keys that will improve immersion. Although the “spoilers” term is always subjective and related to an intimate perception, I’ve ensured that these elements only give you contextual information that your character already has when the game starts. Wolcen is a world of magic with some technological hints, with Enneracts at the heart of each practice. Energy crystals are fueled with Enneracts energy to power pistols and engines in some parts of the world, while others rely on a more religious, mystical, or even scholarly approach of these artifacts. Yet, magic is rather uncommon and often associated with witchcraft. The knowledge of the occult is even more rare: people have heard of spooky stories and yet the average person wouldn’t know what a demon is, aside from a concept to scare children. This is due to the fact that supernatural evil forces almost always plot from the shadows, corrupting and enthralling mortals rather than using bruteforce. Only rare world crisis trigger open-roaming evil creatures like undead, monstrosities or demons. 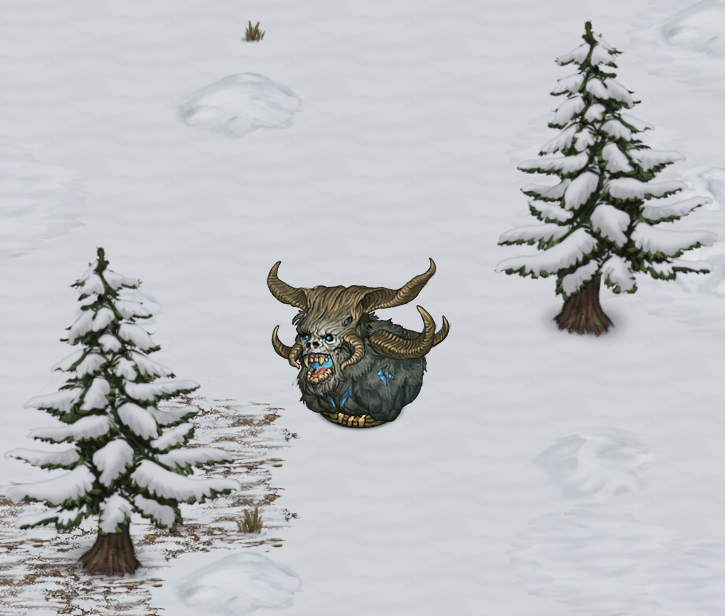 A new dev blog for Battle Brothers introduces The Ijirok. Aside from new contracts and events, the upcoming ‘Warriors of the North’ DLC will also introduce two new legendary locations linked in a single quest leading up to a legendary reward. Today we’ll look at one of the two bosses that you’ll have to face along the way – if you don’t like to be spoiled about any of that, you may want to skip this dev blog. All others, let’s go! 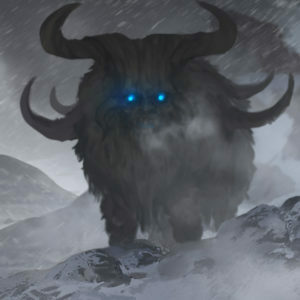 The Ijirok is a mythical creature of the north, folklore of the barbarian folk. It’s called the Beast of Winter, for it is said that it first carried the cold into this world on its back. Legend claims the creature to be a shapeshifter and deceiver, appearing in many forms. It abducts children solely to enjoy the pain of the parents. It leads men astray in the white wastes just to watch them go in circles and freeze to death. Some regard it a spirit, some a god, and others a force of nature, like the sun or wind, but with found divinity within the aspect of a cruel creature. Whatever its true nature, in the north they all can feel the presence of the Ijirok, and they count themselves fortunate that the horrors it brings are scant and passing. When your mercenary company finally faces the Ijirok in battle, it will appear as a great horned beast with four legs and hooves. It’s a boss fight, and it will challenge you like fighting the Kraken or the Rachegeist does. Leading up to the battle, you’ll have the opportunity to learn more about the true nature of your opponent by reading events and visiting locations in the game. The Ijirok charges you from afar to gore and trample anything in its path. Unlike the charge of other opponents in the game, the great horned beast charging you will inflict damage, but you can defend against it with melee defense like against any other melee attack. Even if your shields prove sturdy and your men are not impaled outright, however, the force of impact may still throw them back and stagger them. Then, at the beginning of each turn, the Ijirok will shift into a different world, one where cold and ice reign supreme, only to emerge at a different place and charge you anew. While the great beast enters into and emerges from this other world, cold seeps into ours, turning the ground frozen and changing the battlefield permanently. Anyone near the Ijirok will get the new ‘Chilled’ status effect, which will freeze your men’s limbs stiff, and lowers their initiative and action points for one round. The Ijirok is as elusive in combat as it is outside of it, but each round you’ll have the chance to wail on it before it charges you from a different angle. Like with fighting Necrosavants, your formation is key in defeating the beast of winter while the world around you slowly turns into a frozen hell. A new milestone for Star Traders: Frontiers sees the introduction of fighter wings and new art to go with it. Update #141: Launch All Wings! It feels very good to have come leaping over the INTERDICTOR milestone and finally be back to regular order -- constant, relentless improvement, new features and content. We dropped 2 hotfixes yesterday to address important issues with carriers and craft but now we're back to updates. Update #141 releases a wave of new awesome art for the craft you can get and starts showing off Faction-specific styles. It also adds a new Mass 3400 ship that isn't a carrier, rebalances and increases the counts of slots on the Basalt, Fallen and Harbinger Carriers. Finally, alongside the new art and content, we've got a raft of small balance changes to Talent cooldowns, Initiative costs, handling of missions in friendly territory, and more. If you're just seeing this update, you should first check out Update #140 for the news of the major milestone INTERDICTION that introduces and details craft -- interdictors, bombers and shuttles! With Update #141, we've introduced a wide variety of different craft visuals for shuttles, interdictors and carriers. On the component side, we've fixed the missing +Armor bonus of Reinforced Hangars. We've also fixed all the reported crashes that came in, so please keep reporting and posting any bugs you find. 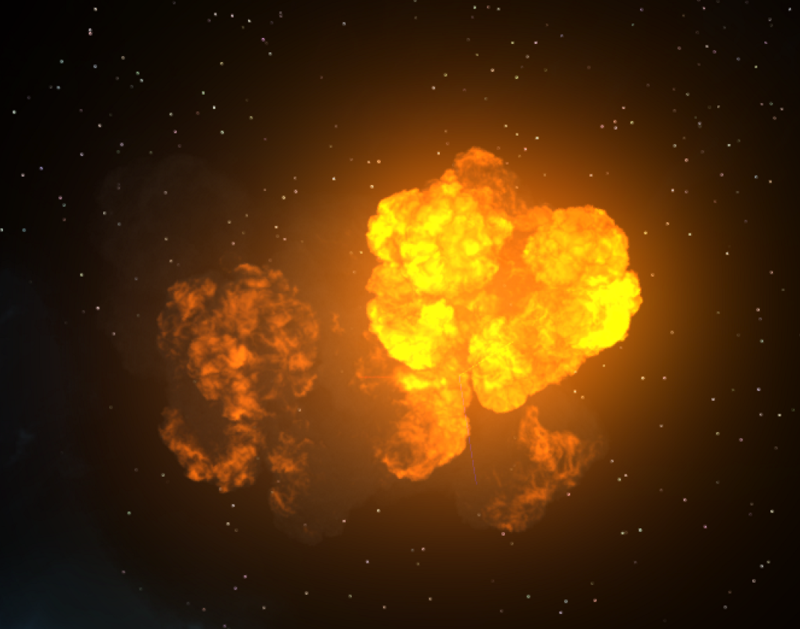 We've added a protection against launching too many craft at a time on your side (4 max), fixed crashes when attempting to assign pilots and crashes that could sometimes happen when a craft was destroyed in ship battle. 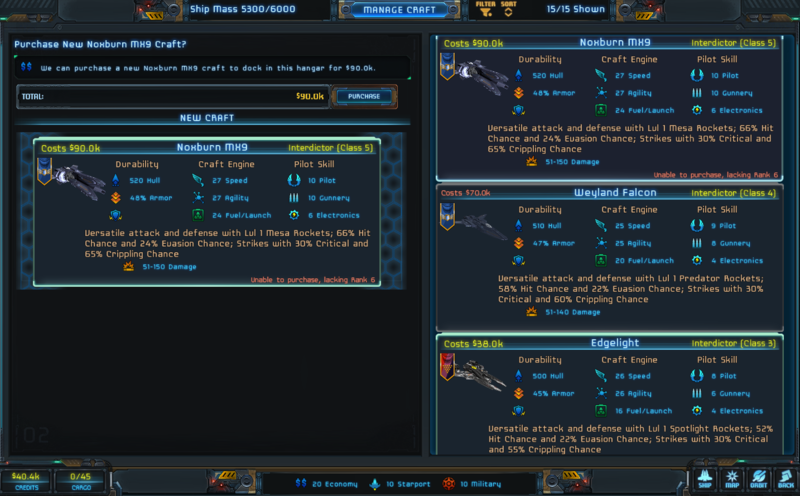 Also, we addressed the issue where sometimes "No Pilot" was being incorrectly shown in the Crafts tab of Ship Combat. Also, a laundry list of Wing Tech, Leader and Bomber Talents all had cooldowns that needed tweaking or fixing. The Wing Commando "Knifework" Talent has been increased to 12 Initiative. The Wolf Vector launches as an all new Mass 3400 option for those who demand extreme range from their spaceship. Optimized for fuel storage and speed, the Wolf Vector is perfect for a faction's high-value couriers and passengers ships. Sometimes outfitted as a secure luxury cruising yacht this craft is popular among Star Traders who appreciate a fast engine and only refueling rarely. This ship is a variation of a design found in a player's saved game, submitted to our team. Cory played the game, fell in love with the design and modified it to create the Wolf Vector. A new video for Stellar Tactics introduces the next major feature; which is the Trade Net. The trade net uses a network of placed beacons. Beacons have been in the game for a while now and many of you may have fairly large networks of these devices. The larger the network, the more options you have to find the best deals. Initially, these could only be used for fast travel between systems. You likely use them to travel back and forth between mission locations or to your favorite home system where you store goods and ships. With the trade-net update, these beacons will start sending data to the trade-net so you find the best places to buy and sell trade goods, ore, and refined ore. A ship with a good-sized cargo hold can make excellent money traveling between systems trading all kinds of goods. For those of you interested in smuggling, there will be an option to have your Trade-Net "hacked" so it will show contraband items (like the Kchor Brandy shown above). Traveling with these items in your cargo hold is risky. Raiders may spawn and scan your cargo, trade stations may force you to pay a fine if you have these goods in your cargo hold and will seize the items. A high electronics skill can help avoid detection. 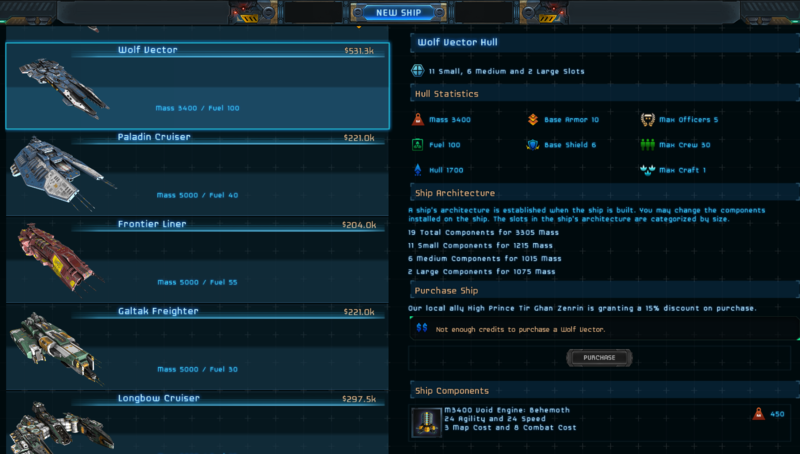 There may also be a few ship upgrades just for smugglers. I'll keep you posted as I make progress. I'm hoping to get this out for everyone sometime in the next few weeks. Meanwhile, here is a list of the latest patch notes since the last announcement. Thank you for supporting Stellar Tactics! A Legionary's Life lets you play as a Roman soldier during the years of the Second Punic War and beyond. Rise up through the ranks and win prestigious awards or just focus on making it home in one piece; it's up to you. This is a unique single-player game with RPG elements, extensive usage of attribute and skill checks, a turn-based combat system involving many variables (including morale, reach, confined space and high ground) and a touch of roguelike features. Among them, permadeath. If you are unfamiliar with the term, it means you'll have to start over if your character dies; but don't worry: the game is designed to be replayable and you'll see only a fraction of it in each run. Also, you'll be able to spend points on your next legionary based on how well your most successful characters performed. Outward is the 3rd game to be developed by Nine Dots Studio, a 10 man game development studio, as a loving remembrance of old school RPGs. Combining elements of Two Worlds, The Elder Scrolls and slight Diablo tones, Outward is a beautiful mash of RPG design. Playing as an almost common person, you will have the option of following 1 of 3 paths as you work to make a name for yourself, save the world or simply keep your tribe alive in a harsh world. Overall, Outward gets a 7/10, it is an amazing experience full of fun encounters, short puzzles alongside a lengthy story that can be replayed 3 times. Co-Op systems may put some off from approaching the game, as progress is very skewed toward the main player, but playing with a friend improves the experience several times. The world is rather big, but quests force you to backtrack way too often. Combat is tactful if a bit underdeveloped in places with the overall game feeling very challenging throughout. With some more polish, an updated script along with some balancing work, Outward could be an amazing game, but right now it is an unpolished gem waiting to shine in the spotlight. Large world with several optional dungeons. Realistic weight and backpack dropping mechanics. Can be played fully in Co-Op. Survival systems become redundant too quickly. Co-Op partner gets reduced or no rewards. A few rough edges don't stop this gem of an RPG from shining. A game where you can never die sounds like it'd make you fearless. Why worry about failure when instead of dying in a battle you simply fall unconscious and wake up somewhere else? It turns out the opposite is true in fantasy RPG Outward. Failure costs you something more precious than a videogame life: It costs you time. Time to heal, to rest, to repair your gear and restock your supplies, to fill your belly with food and cure your ailments with potions, to travel all the way back to the site of your defeat to try again—and possibly to fail again. Immortality is far more terrifying than death. Outward's unusual design provides a different experience than I've found in most RPGs. It completely breaks the common habits of fast-traveling, gaining a fortune in loot, becoming an all-powerful god, and reloading saved games when things don't go as planned or you make a choice you regret. It makes minor setbacks feel like major obstacles to overcome and it makes small victories feel like utter triumphs. Outward is harsh and occasionally frustrating, but it does what so few games do. It requires you to put real thought into the choices you make, and it makes those choices feel like they really matter. Most of all, it makes you approach each and every encounter as if your life depended on it—even though you never die. Pathway releases today on Steam. It's up to you to assemble a team of bold adventurers, and journey through the deserts, explore bunkers, and temples of Northern Africa to discover their hidden treasures and secrets before they fall into the hands of Nazi forces. You and your companions must work together to overcome overwhelming odds - the fate of the world depends on it! Every campaign is generated when it begins, so no two adventures will ever be the same! You never know what's around the next corner - so stay on your toes! Even the most seasoned adventurers can uncover new and exciting discoveries. Journey into the unknown and uncover hidden secrets, treasures, characters, and events which have been buried away. There's a wealth of discoveries to be found, and surprises to excite you throughout each adventure! In Pathway, defeat isn't necessarily the end of your adventure. Characters will retain their experience after defeat, so players can invest into building a team which will get progressively stronger! There's even rare equipment and advanced skills and abilities to unlock for every adventurer. DYNAMIC ADVENTURES - Discover 5 different campaigns of varying difficulty, with each and every attempt generating a new web of encounters and unique storyline. TOUGH CHOICES - Every explored location presents you with one of over 400 hand-crafted story events. Search the well? Save the villagers? It's up to you! DECISIVE CONFLICTS - Use cover and positioning in exciting turn-based squad combat. Learn to make the best use of your equipment and your team’s abilities, to vanquish a relentless foe, in ruthless and clever ways! BUILD YOUR TEAM OF ADVENTURERS - Each of Pathway’s 16 unlockable characters has their own skills, weaknesses and quirks, from the almighty melee strength of Brunhilda, to rifle expert daredevil Jackson, and knife-wielding huntress Shani. HIDDEN TREASURES - Unearth riches untold, from common weaponry to rare and unique items with special abilities. Perfect your load-out and cash-in on your high-value treasures for a tidy profit. THRILLING VISUALS - Classic 16-bit pixel art enhanced with unprecedented depth, lighting and shadows using Pixel/Voxel Hybrid Technology. RECOVER & REPLAY - Sometimes failure is the best path to winning. Progressively explore the procedurally generated world, and grow stronger and learn more with each defeat, taking your loot with you even after death. With soundtrack by the critically-acclaimed composer, Gavin Harrison of Halfway fame! Playable in English, German and French. Chinese and Japanese localisations coming soon! Enter the world of Ahkranox - the first ever genuinely infinite first person roguelike. Become the incarnate form of a magical, sentient Sword, protecting a realm of dreams from the shadows of its own tormented soul, and stand as an eternal guardian against the infinite darkness that threatens to consume all. Meticulously inspired by the classic RPG experiences of the early 90s, this turn-based roguelike drops you into the infinite realm of Ahkranox, a dream-world in the mind of a sentient sword. The world is infinite, the loot is infinite, the quests are infinite and the possibilities are infinite. Relive the classic adventure experience of the past in this modern day salute to the pioneers of modern role playing. Be warned! Much like its predecessors, this game does not babysit you. You will learn to run. You will learn patience. You do not start out an unbeatable hero. You will start as a scavenger, doing what they can to scrape by, but that will make your inevitable success even sweeter. A procedurally generated, yet permanent, world to explore. All players experience their own copy of the same world. Share your finds with friends! Plunder an infinite amount of procedurally generated loot. Compete against your fellow adventurers to prove yourself the greatest hero to have lived. Choose from a never-ending supply of quests. Interact with your fellow players through rifts in time. Relive the brutal difficulty and merciless game mechanics of the golden age of video gaming. Claim undiscovered locations as your own for other players to stumble upon. A game without an ending and with no level cap! You live to reach greater heights than your fellows, or you die gloriously! @GameWatcher A new gameplay video for Starpoint Gemini 3. 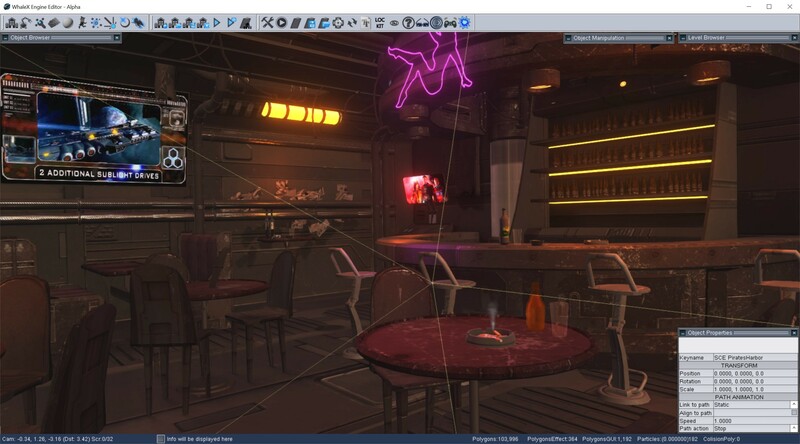 Croatian developer Little Green Men Games promises no less than three fully-explorable and interactive planetary systems - all inhabited by animated, 3D NPCs with high-quality voice-over. One of the most exciting additions, however, will certainly be the chance for players to observe planet surfaces in real-time, as well as a chance to get more involved with the people living there. A new dev blog for Battle Brothers introduces Champions. As we’ve talked about a while ago, we’re overhauling how named items work and how they can be acquired. One way to get named items is by fighting champions – and that’s what we’re talking about today. Let’s delve in! Hitherto, named items could primarily be found by looting locations – whether you followed tavern rumors or ventured out on your own. Occasionally, but rarely, they could also be looted from particularly strong enemies. And that’s where champions come in. Champions are particularly skilled and experienced individuals of any non-beast faction. They’re guaranteed to carry at least one named item and have significantly increased stats over their brethren. You’ll be able to easily recognize them by their special base and unique name. They are, in a way, minibosses. They challenge you to fight hard to claim what is theirs, and they shake things up, but prevailing against them will always reward you with the named item they carry – be it weapon, shield, armor or helmet. So where do you meet champions? The most reliable way is to complete contracts with a difficulty rating of three skulls. Those have always been a high risk proposition for any mercenary company, but they now come with more of a reward for taking that chance: the possibility of getting named gear by facing enemy champions. Another way is to simply play into the late game. The further along your campaign, the more likely that you’ll find champions roaming the world outside of contracts or defending a location. While champions may prove challenging to defeat, they are significantly easier to beat than some of the battles around legendary locations. This way, they can also fill the gap in challenge between defeating your first late game crisis and starting to take on legendary locations, like the Black Monolith, with your company. The launch trailer for Pathway which releases on Steam April 11th. Pathway is a strategy adventure game from Germany-based developers Robotality, featuring turn-based combat and unique story encounters. Explore temples, tombs and the desert wilderness in a grand pulp adventure! Coming to Windows, Mac & Linux on April 11th! 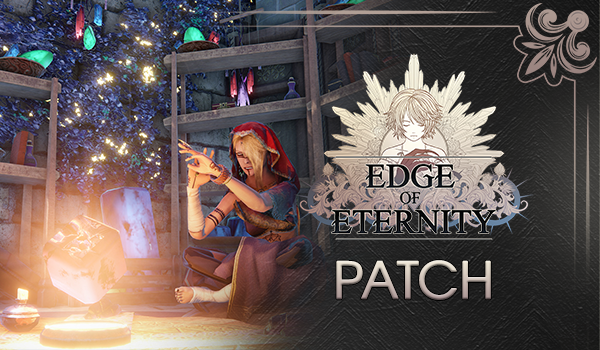 Edge of Eternity has a new gameplay patch and if you believe it a new mount! - Reduced levels of secondary bosses "Rudolph" and "Moeba"
Sunless Skies has been reviewed by Cog Connected. Which isn’t to say this is an action-heavy game. Anything with this much text is going to feel slow-paced, and that is for the best. Despite being loads more forgiving than the first brutal installment, Sunless Skies is wicked hard. I’ve only seen half of the games star systems, I’ve botched major quests and started again, and died a dozen times in an hour. But every setback is a learning experience. Some games you play until you get stuck or bored and you quit. Not so with Sunless Skies. Even if I don’t boot it up for a while, I know I’ll be jonesing to captain my locomotive again many, many times. The Alpha Progress update for Copper Dreams has plenty of details on systems progress. Greetings everyone! We wanted to do a quick dive into some of the stuff we've been putting into alpha builds since we started having folks test them the past few months! Next week we'll be doing a play-through of a testing arena map to give you a better look at gameplay in action, but figure it could use a primer first. The remainder of the alpha builds will be these various arena death-match maps to continue testing combat and companions, as well as the remaining milestone features we'll be hitting this month before the beta! Since launching the alpha, integrating companion gameplay with the step-by-step turns had begun to be the primary focus, and a lot of these changes will be stemming from that. One of the early things some of the alpha players found clunky was the action selection, so that has been streamlined. All actions for an item are now clumped together in the action button area, instead of filtering them through individual skills. These are located in the middle of your action bar, with non-item skills located on the left and some formation stuff on the right. Skills on the left, when selected, repopulate the middle area with actions for them, so no further in-game world space is taken up. Fully controllable companions have been added into the tick-tile system, as most of this update will pertain to. We've added their health, medical snapshot, and inventory to to the HUD. We've also integrated nested bags, so if characters are hoarding they have a place to put their garbage! We've integrated the line of sight visual into the micro-tiles, getting a much smoother and easier to understand line-of-sight. This occurs per-character, who additively overlap sight visuals. As before, your characters can still hear NPCs outside the line of sight range (represented by footprints). A great escape. The local wildlife doesn't like our agents. We've also integrated the Followship™. This design was meant to convey the feeling of safety exploring as a group. Copper Dreams, the actual campaign, is a dungeon crawler where you'll be creeping around a war-torn city filled with lots of other things that are creeping around trying to kill you. The Line-of-sight visual has always been the backbone of the visual identity in creating that tension. To add to that, characters exploring on their own have a personal sized vision radius. However, when selected together and worming around as a group, the radius is combined and larger, focused on whoever is lead. Our intention was always to remove the idea of Hit Points and replace them with wounds that individually reduce stats of a character. Getting that into a simple system that both feels organic during gameplay, and allows players to reasonably survive and enemies to be killed in predictable ways has been a challenge. With the newest tweaks in the last month of alpha testing, we think we've found a solution. Characters accrue wounds specific to body parts. Different damage rolls do 3 tiers of wounds — lesser, greater, and mortal. In the alpha, we've introduced the SHOCK stat to make sure they all work together nicely, which acts sort of like a negative armor modifier. Light wounds still just deter some stat points somewhere on your character, respective of body part. The higher end rolls of these can cause SHOCK. Medium wounds deter stats respective of body part as well and always cause SHOCK. Mortal wounds destroy/disable whatever limb they happen on. If a character's torso or head is destroyed, they're dead. So that's easy enough — destroying legs make enemies unable to move, arms reducing any ability to fight, and the vital parts are the torso and head (or non-humanoid equivalent, for you to find out). Rolling mortal wounds is required to do that, and that's where SHOCK comes in. Every SHOCK point a character has, regardless of what body part it was on, adds those points to any incoming damage rolls. This would allow rolls to be either more potent within their tier or jump from light to medium, or up to Mortal. Characters can be 1-hit killed. No matter how armored a character is, they can we chipped away at with SHOCK. Aiming for mechanical parts of the body (arms/legs types) is still viable toward reducing character abilities as well as helping towards finishing them off. As we mention below, you can now automatically aim for body parts with any action, so you can always have some agency on what you're going for. The wounds your players accrue are now visibly seen on their person. Giant nails, gore blobs, embers, bone fragments — the locational damage of the wounds you get can be seen appropriately on your characters body parts. Now those blood decals or arrows that stick into characters have some actual importance — check out enemy damage locations to see what to focus on or what's currently damaged. At this point there are a bunch of long term tasks that wont really be complete until the game is Alpha, but I'll try to break them up to give a sense of progress. Design is still finalizing the white boxes for all 50 missions. 15 are done and out for conceptual art. 9 are playable. You'll notice that we keep adjusting the play field size on Mission 5 based on play testing. Those changes have been filtered back through other level designs to keep everything consistent. Art is managing the process of working through conceptual art based on the white boxes and then the 3D modeling build out of each level. Development continues to build out class skills and combat mechanics. But they are also building tools for the artists and designers. I'll be showing off the first pass of our Environment Control and Tile Editor below. Right now they are also adding support so that design can script Spawns, Hazards, and environmental events. These elements are necessary to complete the remaining 35 mission white boxes. Development is also building out the Fracture system which our extended game play feature for Unsung Story that allows players to replay levels they have already beaten. Unfortunately I didn't have time to get a good enough write-up for that part of the game, so we'll be walking through it next month. Art has completed work on the Female Human across all class outfits and 3 different body forms. Those assets are still being glued up in the engine, and it was quite a bit more work than we anticipated. Conceptual work is being done on the gender / racial variations to each class outfit alongside various story character designs. They also have lots of continuing work on animation, vfx, and UI. There is also information about the vertical slice process, environmental control, gameplay and the level editor. In a new update for For The King, information is provided on what is happening now and what might/will happen in the future. You might remember that we promised to give our backers free console keys for either PS4 or XBONE. We will be sending out a survey to each of you to gather the necessary information to get you the key of your choice. Unfortunately it will not be possible to include the Switch as an option for the free key given that Nintendo does not allow developers to generate mass quantities of keys for their games without substantial cost. We have recently added two new languages to For the King: Japanese and Korean! This brings our total up to 12! It’s been really wonderful watching people from across the globe get party wiped in a multitude of languages and we are very excited to expand our Asian market. These will be the final two languages added to the game. As FTK has now reached a feature complete state, we have added a few more fun ways to keep things fun and interesting in the long term. Seasonal unlocks are now something you can spend some of your extra Lore Points on during any holidays allowing you to get limited time cosmetics for your characters. Deciding the next major steps as a game studio is not something we take lightly. Do we continue to support For the King or is our time best spent starting a new project? That is of course a popular topic around the office these days. An idea we had been toying with (and have mentioned a few times to gauge interest) is the idea of FTKMaker, an adventure making tool for FTK. We took big strides towards completing such a tool and would love to see what the community would create. Unfortunately we have instead decided to cancel any plans we initially had for it. Weighing the pros and cons we have concluded that FTKMaker would consume too many of our resources in the long term as it would require a tremendous amount of support to be successful. The engineering lessons we learned in building our FTKMaker prototype will prove very valuable for our next project, all is not lost! Outward is very NICHE, some are LOVING it and falling head over heels with it's systems, difficulty, seasons, combat and world, OTHERS hate it! I want to break down why it is the single player RPG of the decade for me, and explain why there is such a divide over this fantastic game! Dev Diary #2 for Starpoint Gemini 3 shows off some technical improvements. the Vagrus team has made the second teaser of the game public. We can't really express how much work went into this - not only into the video itself but also into every single game system and art asset that is shown (or heard) in it. A very special thanks to everyone involved in its creation and also to you guys who continue to follow us through this journey. Watch, share, and tell us what you think! An interview about Eternity: The Last Unicorn from Gamingbolt. Can you talk to us a bit about how combat is structured in Eternity: The Last Unicorn? We created the combat to be challenging but not too complex. The enemies are divided into different classes like Healer, Berserker or Mage, so you will find different groups of enemies strategically positioned to make combat more interesting. And if you just smash the button you will probably get killed sooner or later. You can find new weapons and abilities during the gameplay which also brings some changes to the system. For example some enemies have a barrier that can only be broken by magic weapons (as is the case of your bow). The enemies will become more dangerous as you advance in gameplay, so it’s important to use some of your time leveling and preparing for what’s to come. How much of an emphasis on exploration can players expect to see? There is a good amount of exploration during the gameplay, you will find new places and important treasures hiding in the Kingdom. Some of these places you can only find after getting a specific skill or weapon. It’s up to the player if he wants to explore or not but definitely those who explore will find great rewards. The game is a classic western RPG inspired by the games from the 90s. Basically, it’s the kind of game I personally find missing nowadays. Light, fairy tale, epic, heroic and slightly humorous. One that does not take tons of hours to complete or require endless grind to progress. Something that caters to players like me who don’t have 40 hours to beat one game but still like to play and have a sort of nostalgia for the way games were made in the old days. It was inspired by Dungeon Master, Eye of The Beholder 2, Might & Magic 3-5, Crystals of Arborea (a not so well known prequel to Ishar series), GoldBox series (Champions of Krynn, Dark Queen of Krynn, etc). Classic, 90 degree rotation, FPP, turn-based, tile movement RPG. Party-based (7 party members assembled upon start). Open world with a big overworld to explore. Fast paced combat. Quick travel. Easy inventory management. No grind. Light, fairy tale like fantasy, epic story about heroes on a noble quest. Mechanically it’s 100% turn based (so you can go and make tea in the middle of a fight) with grid movement and 90 degree rotation. All this very fast paced, both combat and travel is really fast. The goal was to cut down the boring parts and flesh out the fun parts. Overall, the mechanics are pretty traditional and straightforward with modern additions like equipment encumbrance system. Storyline is a fairy tale, mythical heroic fantasy. You are the good guys on a quest to fight the forces of evil. The world is non linear, with very few locked areas. You basically can go anywhere and do things in different order. In addition you can choose a different set of quests to finish the game (but those are not mutually exclusive, so you can finish all quests if you like). It’s more like a world driven than a story driven. The priority was to make the world feel alive and let you explore it as you wish than follow a linear list of quests. The game starts when the royal wizard finds out about an old crown that belonged to the royal family since generations. Yet, strangely no one ever heard about the crown and there was just a single mention of it in the royal annals. Upon further study he discovered that there has been cast a powerful spell of forgetfulness of unknown origin which caused everyone in the whole land to forget the crown ever existed. Without knowing who or why went into such trouble to conceal the existence of the crown he decided to investigate it. He summoned a party of noble heroes and tasked them with finding whereabouts of the mysterious crown and the origin of the spell.